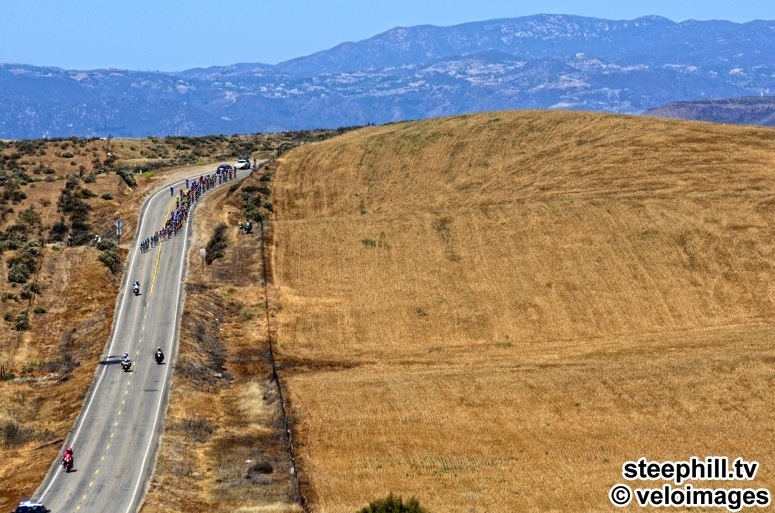 The peloton working its way across the parched desert interior of Southern California on Stage 2 where the temperature hit a record-high for May in Palm Springs of 110F / 43C. 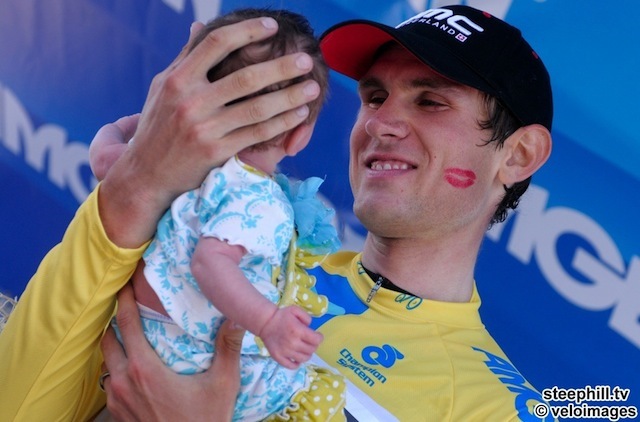 May 17 update: From the course guide: The 2013 Amgen Tour of California will return to the original time trial course we used in 2006, with a wicked stinger at the end. 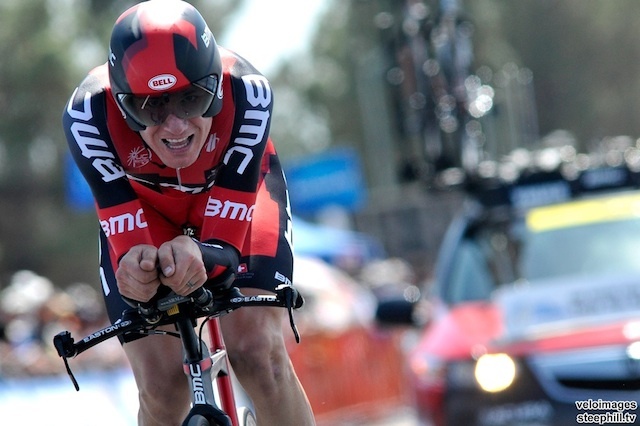 This 20-mile course will feature a climb soon after the riders push off the starting ramp. 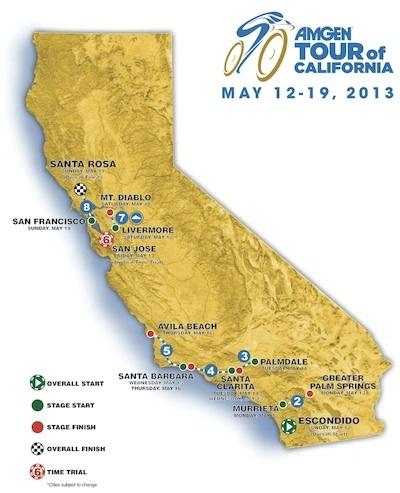 As the racers navigate around beautiful lakes and golf courses, they will begin to prepare for the most difficult finish that any Amgen Tour of California time trial course has offered. 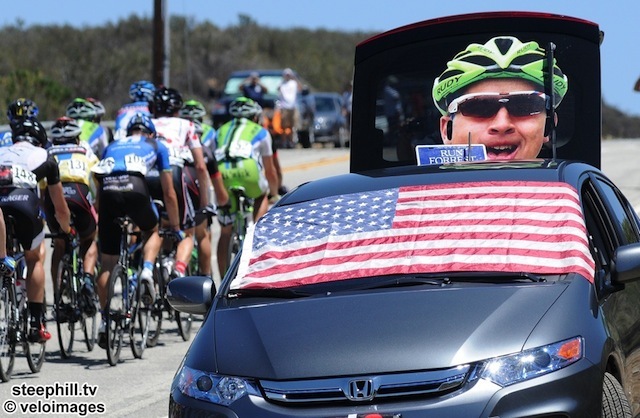 As the riders make their final right hand turn on the route, they will come face-to-face with the climb up Metcalf Rd. 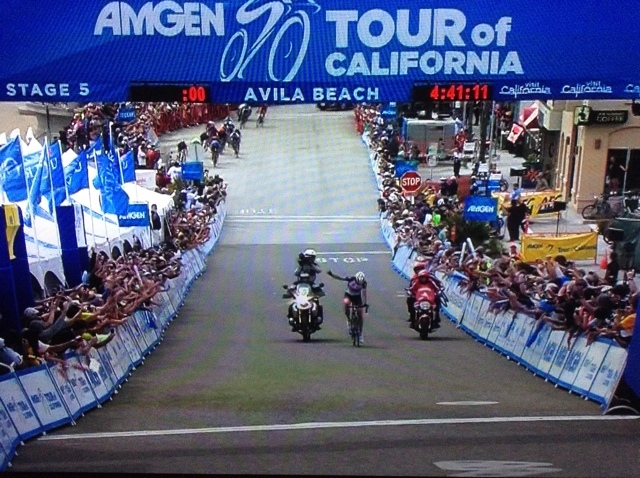 to the finish. This is a 3 km climb that will see the riders gain nearly 1,000’ in elevation and will feature several pitches over a 10% grade. Women’s time trial starts at 12:45 p.m.
LOS ANGELES (November 27, 2012) – Twelve cities have been named official Host City partners for the 2013 Amgen Tour of California by AEG, presenter of the race, helping to make up the route which will take riders on a South to North course for the first time in the eight-year race history. 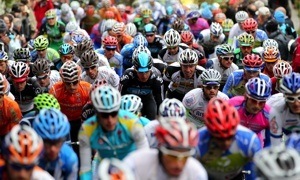 Considered America’s largest and most prestigious professional road cycling stage race, the eighth consecutive edition of the Amgen Tour of California will travel approximately 750 miles from May 12-19, 2013. 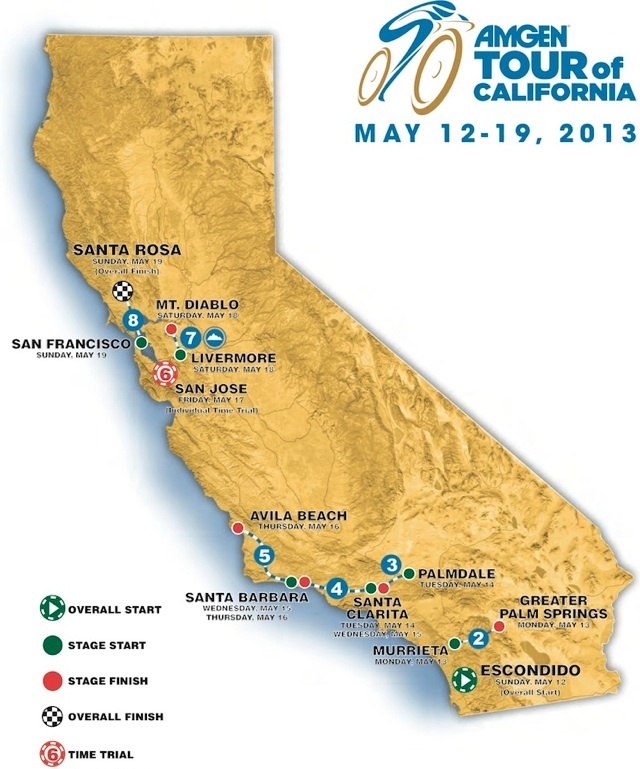 The race will remain in Santa Barbara for the start of Stage 5 of the 2013 Amgen Tour of California. 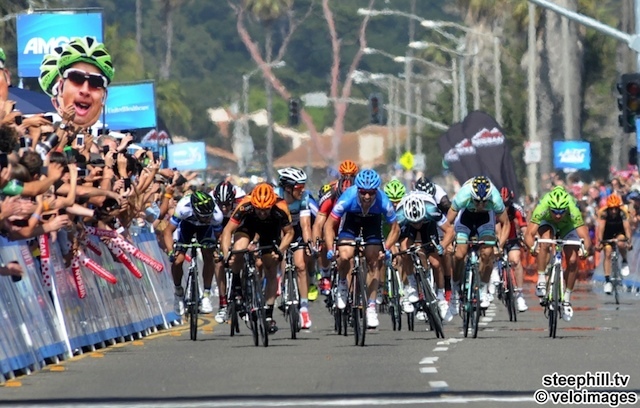 Ocean views will provide the perfect backdrop for racers and spectators alike as the route heads north to Avila Beach for the Stage 5 finish. 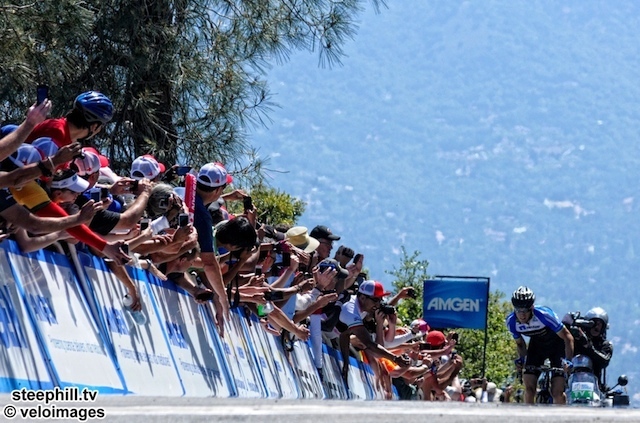 San Jose will play host to Stage 6 and the Individual Time Trial, marking the eighth consecutive year the race has visited the city. San Jose is the only city to participate in all eight editions of the race. 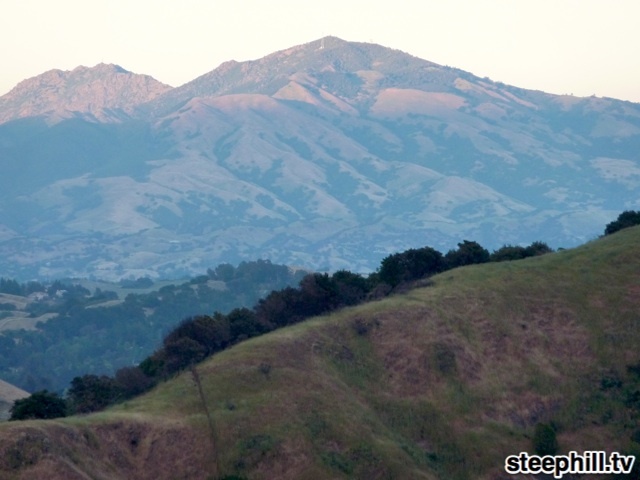 Stage 7 will start in Livermore and head to Mt. 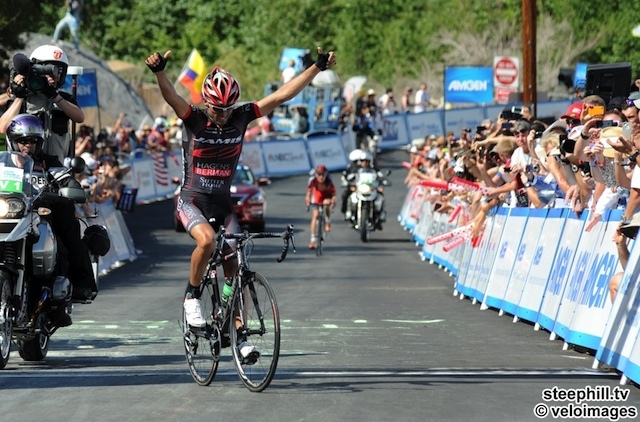 Diablo for an intense mountaintop finish. 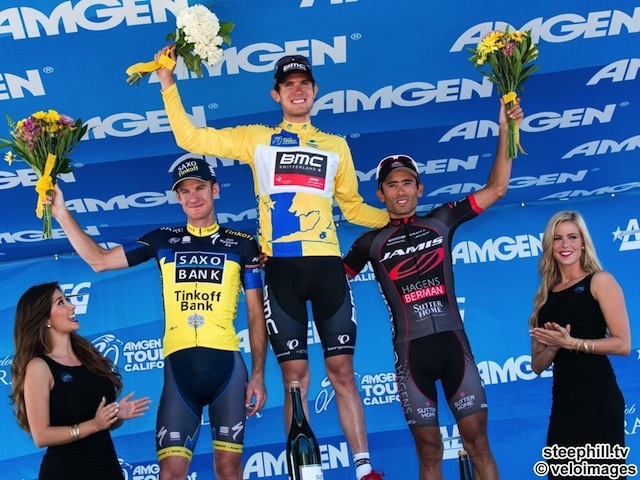 The eighth and final stage of the 2013 Amgen Tour of California will start in San Francisco and finish in Santa Rosa, which played host to the official race start last year. with a ticker, gps tracking and fan chat; free worldwide. tv schedule (int'l/cet) Europe; live tv coverage with english commentary in the evening in Europe. Stage 1 live at 11pm CET.